Everyone loves our most visited San Francisco science museum, the California Academy of Sciences. If you only have the chance to visit one museum while you are here, this is the one to see! This hands-on museum houses the Morrison Planetarium, one of the world's largest all-digital planetariums; the Osher Rainforest, a four-story beauty; the Steinhart Aquarium; and the Kimball Natural History Museum. You can visit all four of these with just one ticket to the museum. It's the perfect museum for kids of all ages. With so much to see and do, it will be a hit with your entire family. Those that are 21+ can also check out their weekly Nightlife event. 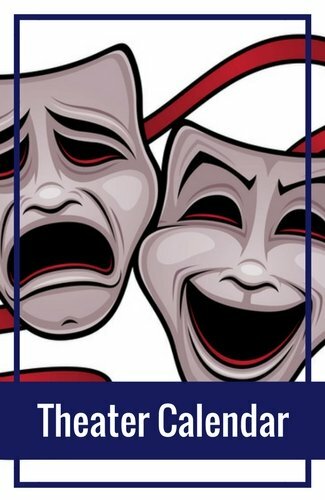 The event theme changes each week and is on Thursday nights starting at 6pm. 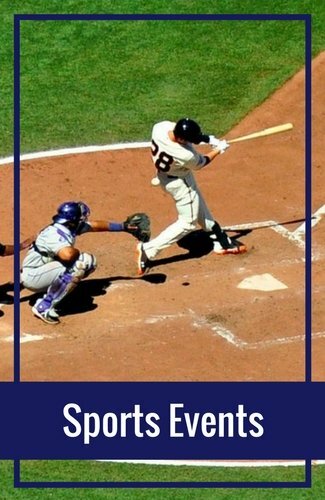 It's one of several fun things to do in San Francisco's Golden Gate Park. Before you get started with your visit, I recommend picking up a map. You'll see several places near the entrance where you can pick one up. The museum is expansive, with many amazing exhibits, so this is the best way to make sure you visit everything. 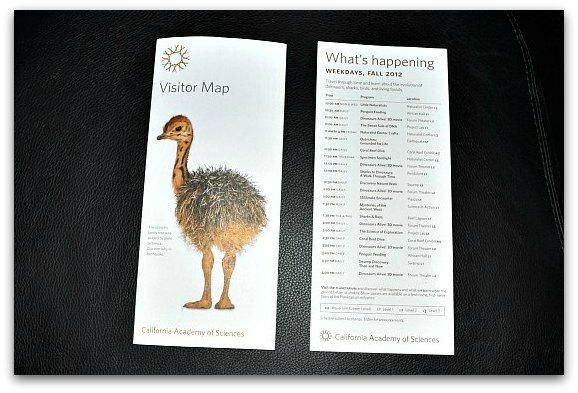 Next to the maps, you will also find a 'What's Happening' brochure. 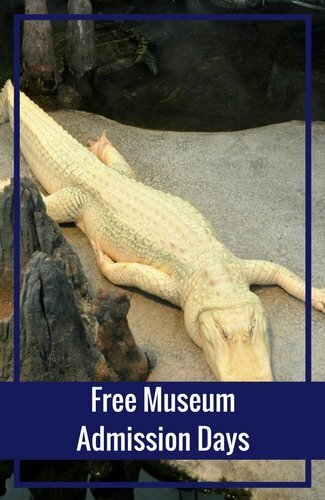 This has the times and locations for all of the free activities and events going on in the museum each day. These two items will help you make the most out of your visit. Insider's Tip: You'll want to head straight to the planetarium to pick up free tickets to one of the shows. These tickets are on a first come, first served basis. If you are interested in seeing a show at the planetarium - which I highly recommend - then you'll want to get your tickets as soon as you arrive since these go quickly. 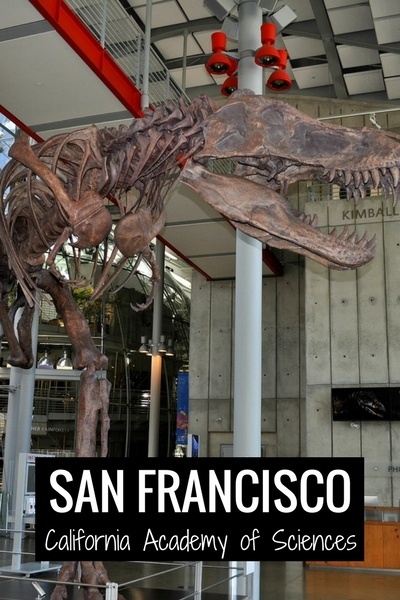 A visit to the San Francisco Science Museum will take anywhere from two to four hours. This all depends on what you want to see - and when you can get tickets to the planetarium. Even though this sounds like a long visit - the time will fly by. Since the museum is really popular, I recommend heading over first thing in the morning. You can secure your tickets to the planetarium and start your visit before it gets too crowded. The California Academy of Sciences is now open 365 days a year! Tickets to this San Francisco science museum are pricey. However, they are well worth it! Here are the current ticket prices. Click here to buy advanced tickets online today! The California Academy of Sciences also offers discounts for active duty military. Present your current ID or proof of service (i.e., VA card or DD-214) at the ticket window when you arrive for $3 off daytime admission. This discount only applies to military personal and does not extend out to your family members. 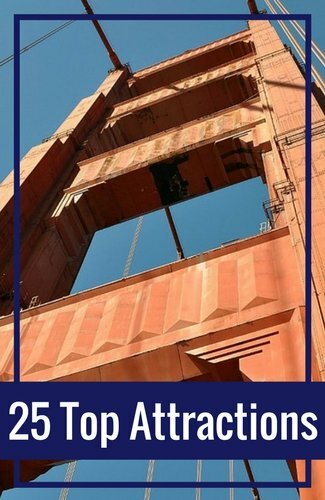 You can also save on your admission through these San Francisco discount passes. The passes offer admission to a variety of museums and attractions throughout SF, so your overall cost for each one is quite a bit lower. There are two main San Francisco discount passes that are honored at the California Academy of Sciences. CityPass: This is the most popular pass. It offers admission to this San Francisco museum as well as the Aquarium of the Bay and the Exploratorium or the SF Museum of Modern Art. 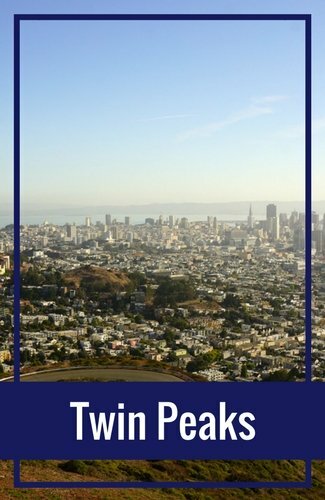 It also includes a 60-minute bay cruise and a multi-day pass for SF Muni (which includes both our buses and the cable cars). The discount will save you up to 40%. GoCard from Smart Destinations: The second discount pass is the GoCard. This one includes tickets for more than 25 attractions, tours and museums. It allows you to mix and match options to select the right list of activities for your stay. One of those options is this museum. Other options include the Aquarium of the Bay, the Hop On Hop Off Bus, the Exploratorium, the Zoo, and many others. It will save you up to 50% on buying the tickets individually. This is perfect for those that love to fit in as much as possible in just a few days. This San Francisco science museum also offers two types of free days. This first type of free days at the California Academy of Science is their Community Free Days. They offer these once a quarter and is free admission is available thanks to Pacific Gas and Electric Company. These free days at this San Francisco science museum are VERY popular. I recommend arriving as soon as you can before it opens to grab your spot in line. Admission is on a first-come, first-served basis, so there is no guarantee that you will get in this day. The earlier you arrive, the better your chances. When is the next free day? Check out my calendar of all free days for SF museums to find out. They typically announce them one at a time, so check back often for updates. The second is for anyone living in San Francisco. These neighborhood free days are set up based on zip code and are usually offered in the spring and fall each year. Find a list of upcoming neighborhood free days on their site. This San Francisco science museum also hosts a 21+ Nightlife event. This event is held most Thursday nights from 6pm to 10pm. As you can imagine, this is another hot ticket and is popular for both locals and visitors. I've had the chance to attend several times and they are really cool if you love science or learning about off-beat topics. Each Thursday night offers a different theme. Past themes include Fungus Among Us, Year of the Dog, and Nightlife Spotlight (which is the best of what the museum has to offer). You can explore the museum, listen to live music, and mingle with other science lovers. You can also grab a drink or some food at the bar -- cash only. If you are looking for a more personalized experience, the San Francisco science museum also offers two "behind the scenes" tours. These tickets also allow you to skip the line when you arrive. Both are small group tours. Each ticket also includes reserved seats to a show at the planetarium and express entry into the rainforest. The first tour is the "Academy Tour" that takes you on a one-hour tour of the museum's lab. On this tour, you can also explore a collection of rare gems and learn more about the museum's history and scientists. 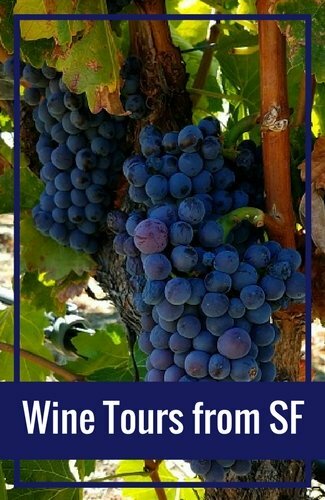 Learn more about this tour and ticket availability. 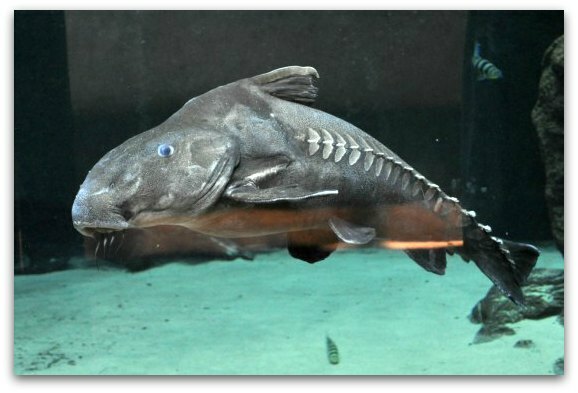 The second tour is the "Aquarium Tour". On this tour, you'll head behind the scenes and learn how the animals are cared for at the San Francisco science museum. 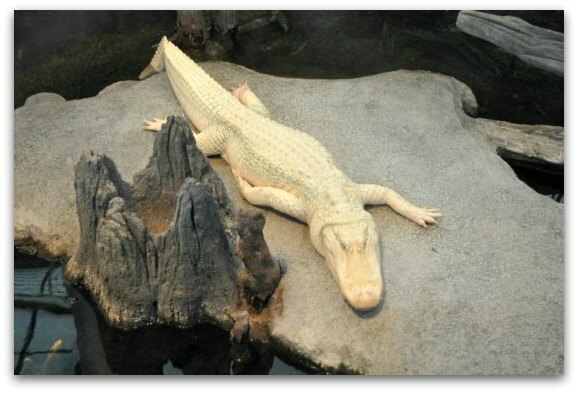 This is also a one-hour tour with details on the aquarium's history and details about the animals. Find out more about this tour and ticketing information. Both are a great way to experience the museum in a slightly different way. I love starting my visit with a trip inside the Osher four story rainforest. 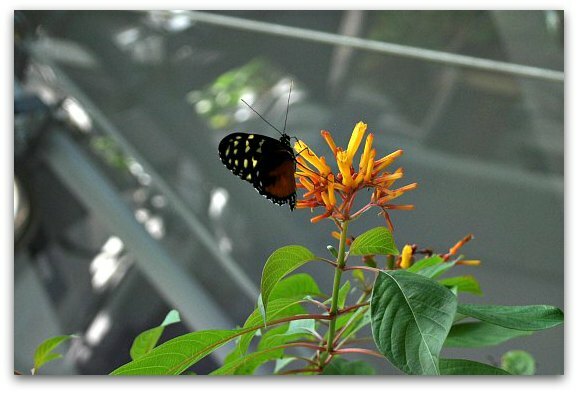 This large enclosure includes free flying butterflies and birds that live in different rainforests around the world. Some of the other creatures you'll see in the rainforest range from snakes to poisonous frogs. But don't worry - all the animals accept the birds and butterflies are kept in their own separate homes. Your visit starts on the ground level. You will slowly make your way up the circular walkways to the top of the rainforest. Each level teaches you about the plants, animals and climates of a specific rainforest. 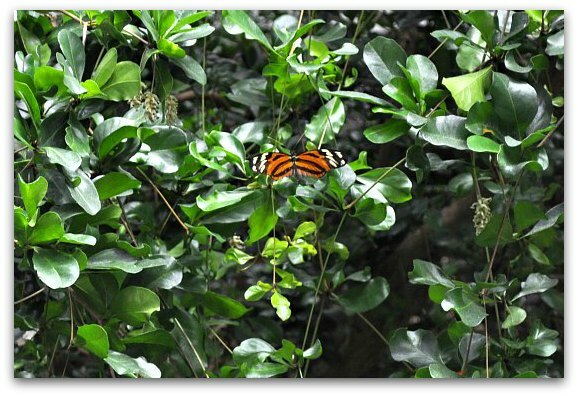 Here are just a few close ups I was able to get of the beautiful butterflies in the rainforest. Once you reach the top level of the rainforest, you will be directed to the elevators and head down into the Steinhart Aquarium. But first - check for butterflies to make sure you don't accidently take any with you! The Steinhart Aquarium is another amazing experience inside this San Francisco science museum. You walk directly under the water tunnel - where you can take a seat and watch guys like this one swim right next to you. After you take a few minutes to rest, you can then head into the heart of the aquarium. Here you will find everything from jellyfish to water snakes. 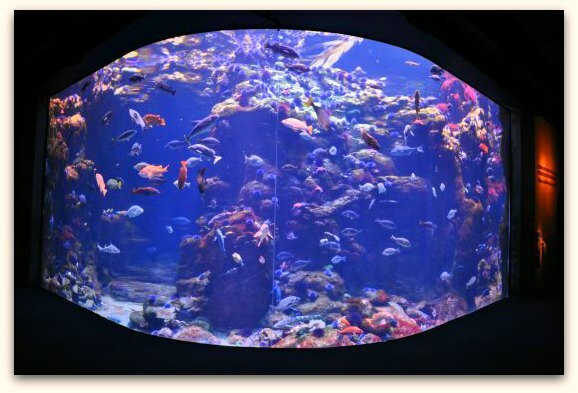 This is the first tank of fish you will see when you enter the Steinhart Aquarium SF. The entire aquarium houses more than 38,000 live animals including almost 9,000 species! 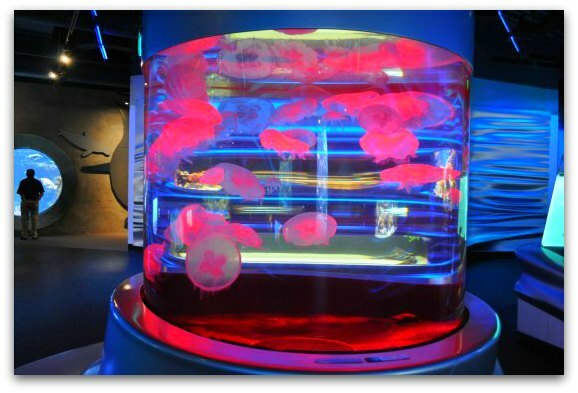 The jellyfish tank is another one of my personal favorites. There are colored lights below and the lights change periodically. This makes the jellyfish easy to watch as they float around their tank. Another important stop in this San Francisco science museum is the Morrison Planetarium. As I mentioned at the beginning of the page, you will want to stop by here for tickets to a show the minute you walk in the main entrance. They offer shows on a first come, first served basis. The shows are free and popular, so you want to pick up your tickets as soon as you can. All shows are on a high-tech 75-foot diameter screen. It's one of the best planetarium shows I've ever seen. Note: These shows are not recommended for kids 6 and under. They do not allow anyone under 4 into the shows at all. The next major exhibit in the California Academy of Sciences is the Kimball Natural History Museum. This area showcases more than 150 years of research by this museum. Highlights include the Tusher African Hall, an 87-foot long blue whale skeleton, and the Foucault pendulum (a brass ball that weighs 235 pounds and hangs on a 30-foot long steel cable). 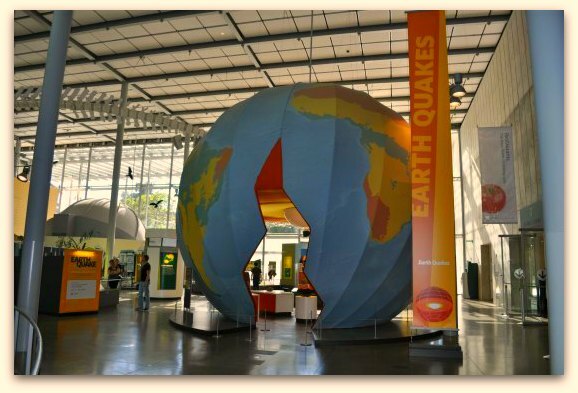 Another really cool exhibit in the California Academy of Sciences is the Earthquake Exhibit. Not only will you learn more about earthquakes, but you can also step into a shaking machine that simulates an earthquake. I hope it's the only time you feel what it's like to be in an earthquake. These are just a few additional things I recommend checking out while you are here. This San Francisco science museum is amazing and their living roof is another example of how this museum is unique. It not only keeps the Academy green, it also provides a habitat for local wildlife. 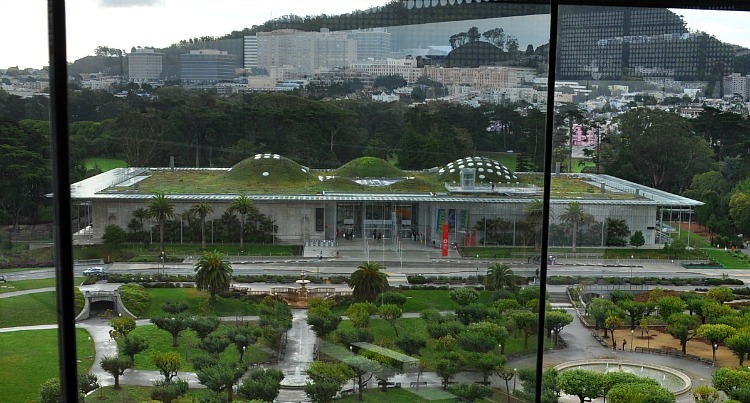 The San Francisco science museum's green roof is 2.3 acres large. It's home to more than 1.7 million plants. The living roof offers insulation to the museum which reduces electrical costs, it collects excess storm water, and creates more oxygen by transforming carbon dioxide. You can get a great view of this part of the museum from a small lookout platform on the top of the building. Insider's Secret: You can also get a full view of the California Academy of Science's living roof in the tower at the de Young Museum. The tower is free to visit and is open during the de Young Museum hours. 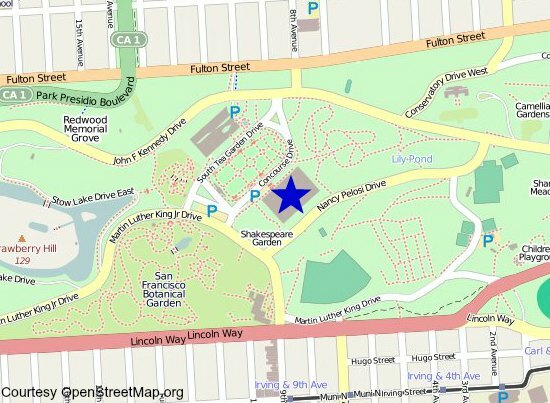 The San Francisco Science Museum is located on the eastern side of Golden Gate Park. 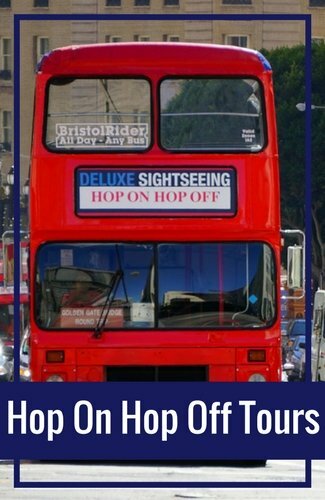 There are several options that will get you to the Academy including public transportation, driving, or the hop on hop off bus tour. If you are taking public transportation, your best options are the N-Judah or 5-Fulton. Both drop you off just a few blocks from the museum entrance. If you decide to drive, there is plenty of parking right in Golden Gate Park. You can choose from either free parking - which might put you 4 to 5 blocks away from the entrance - or pay to park in the parking garage that is less than a block from the entrance. The Hop On Hop Off Bus Tour also has a stop right in front of the museum. See a map of all the stops and find out how to buy tickets to this SF bus tour. It also stops at several locations all around SF. What else do you want to know about this SF museums?